Dr. Mark Whitten is a board-certified ophthalmologist and Medical Director of Whitten Laser Eye. Dr Whitten has practiced ophthalmology in the Washington, DC and Richmond, VA areas for more than 30 years, and has built a national reputation for excellence in eye care. By remaining at the forefront of technological advances, he is able to achieve the very best vision results for his patients. Dr. Whitten is a native of Richmond, VA. He received his undergraduate degree from the University of Virginia and his medical degree from the Medical College of Virginia. Dr. Whitten completed his residency at the Washington National Eye Center at Washington Hospital Center. In addition, Dr. Whitten completed a rotating internship at Riverside Hospital in Newport News, VA. He went on to form a strong relationship with Georgetown University and Washington Hospital Center, training doctors for their residency programs. 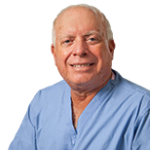 Dr. Whitten has been recognized by VISX as one of the top ten surgeons in laser vision correction. For over 10 years, he served as the Regional Medical Director at TLC Laser Eye Centers in Rockville, MD, Tyson’s Corner, VA, Reston, VA, Richmond, VA, and Pittsburg, PA. While Dr. Whitten has achieved recognition in his field and has earned many honors, he is most proud of his work with patients. He has performed more than 130,000 laser vision correction procedures, and is proud to give people the gift of sight every day. Dr. Whitten has worked with many professional athletes, celebrities, and politicians. The greatest compliment that Dr. Whitten receives is when his patients refer their families and friends to experience the same high quality and caring approach. As a resident of Southern Maryland and a native of Richmond, VA, Dr. Whitten is proud to bring advanced vision care to these areas. In his free time, you might see him sailing, fishing, or on the golf course working on his swing.